<a href="http://www.kakeda.com">Kakeda Kaoru</a> is my old friend and also an owner of well known liquor shop in Oppama, Yokosuka. She has deep knowledge about sake and warm heart for sake breweries. Not only sake but also they have high qualified brown sugar, various kinds of traditional foods. 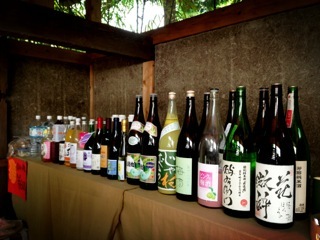 You can enjoy sake, awamori, wine, organic juice at standing bar in Khaju back yard and buy some Japanese foods.